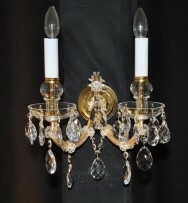 Maria Theresa chandelier made of glossy gold brass. 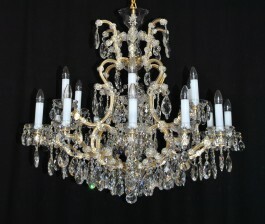 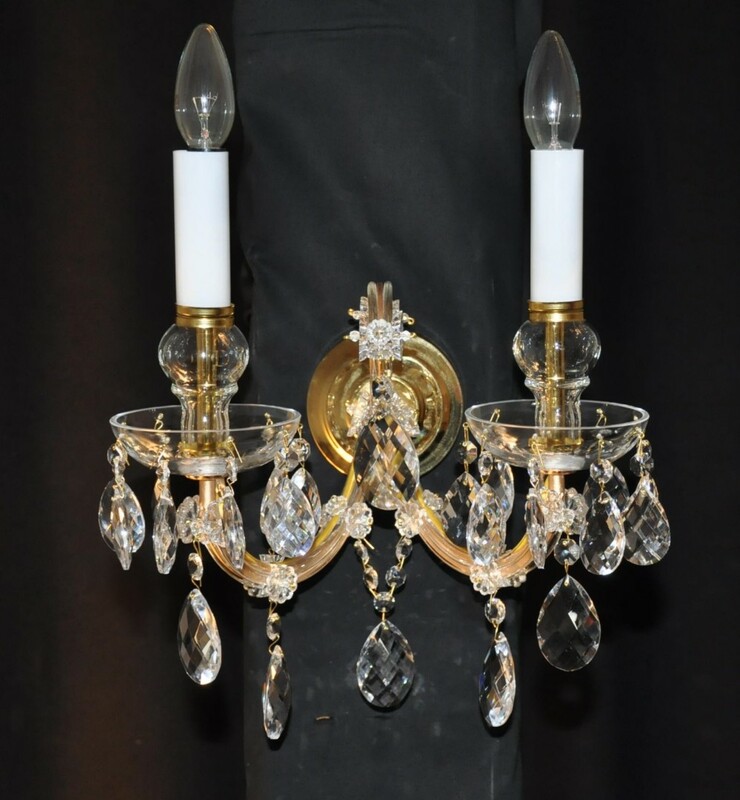 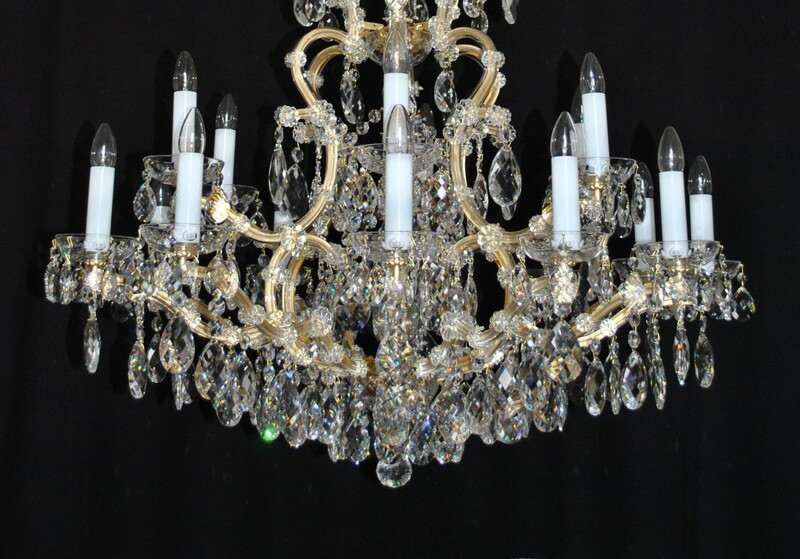 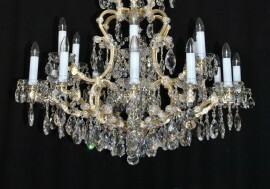 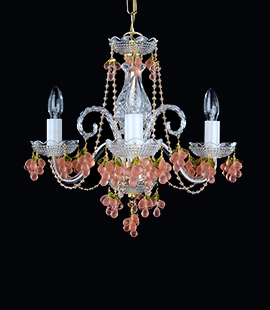 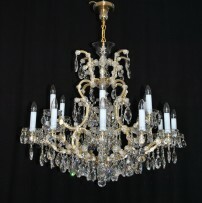 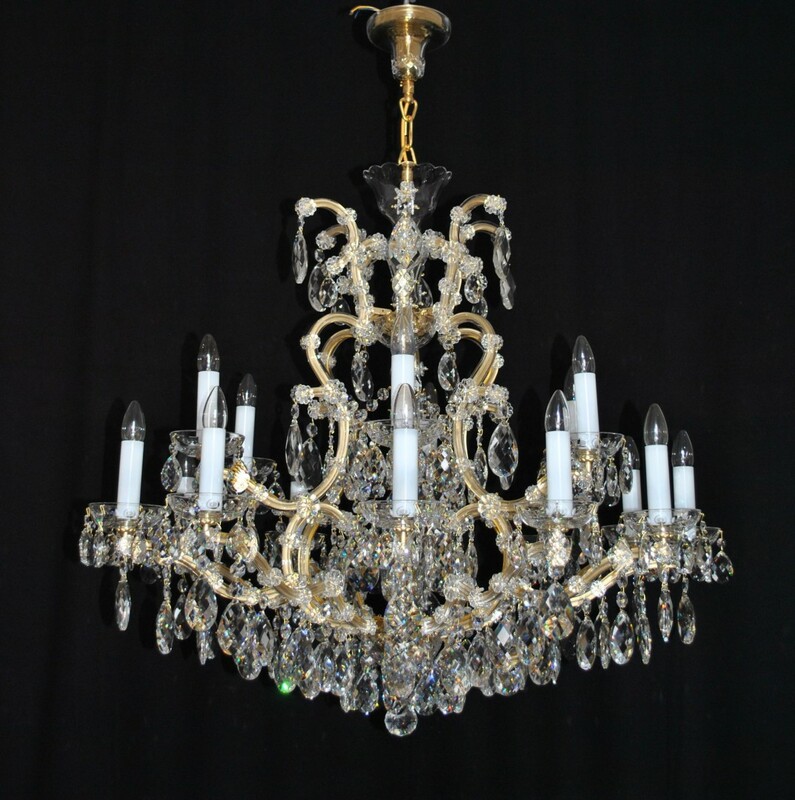 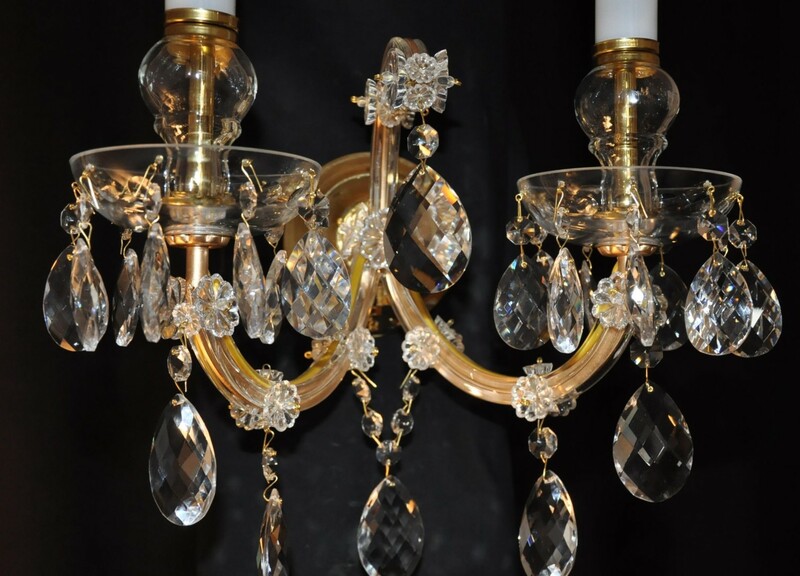 18 flames Maria Theresa chandelier - pure brass. 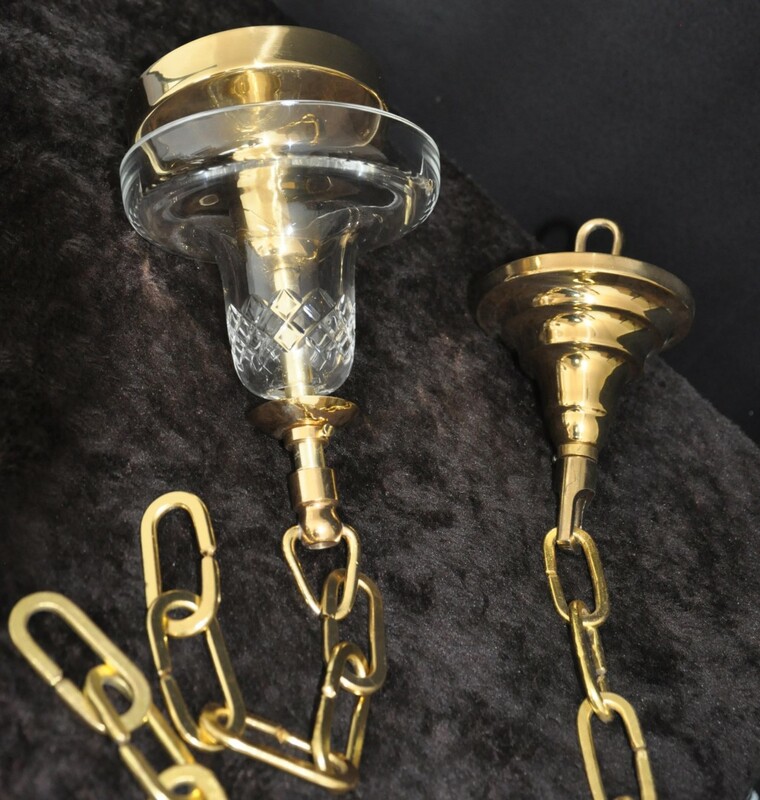 The hand blown and hand cut vase with the E27 large bulb in the middle. 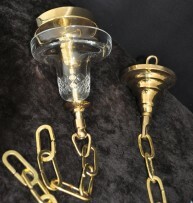 Dimensions (W x H): 102 x 112 cm/ 40.2"x44.1"